When it comes to copying files, Windows is not as efficient as any of the other third party file copying tools available on the internet for free. Most windows users will definitely agree with me and if you want to speed up the file copying process you need to make use of third party files copying / transferring tools. Continue reading to know more about one of the best files copying tools available for windows. On windows, File transfer speeds mainly depends on the type of storage media you are using. Unless you have a SDD installed on your Windows computer, copying large files can take a lot of time which again depends on the size of the file being copied.Third party file transfer tools definitely speed up the file copying process and at the same time they also provides you useful features like pausing, queuing, skipping and better error notification with management features. But its a difficult task when it comes to deciding the best one among these tools as every file copying tool is unique in one way or other. For example one tool might offer faster file copying speeds while copying large files but on the other hand it might be slower when it comes to copying folders with multiple files. While most of these file copying tools offer fast file transfer capabilities but only a few of them have a user friendly interface. If you are looking for a free third party file copying tool which provides both blazing fast file transfer speeds and user friendly interface, Teracopy is something you should consider using. Teracopy is one of the most popular and free third party file copying tool for windows. The tool supports all major version of windows including Windows 7 and Windows 8. 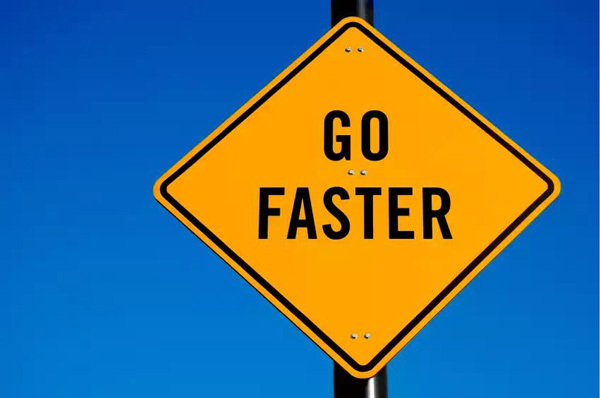 In Comparison to the default file copying tool on windows, Teracopy provides impressive copying speeds and even allows you to pause or resume file transfer activities. Adding to that it even has an error management feature. Step 1: Using Teracopy is very easy, simply install it with administrator privileges and it will integrate itself into the Windows shell extension automatically. Step 2: Now the next time you copy a large file and paste it, you will see the following popup. 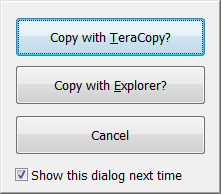 Step 3: Click on Copy with TeraCopy and TeraCopy will copy the file. To disable this dialog box from appearing once again, deselect the Show this dialog next time option. If you are looking for alternatives to TeraCopy, here are a few third party file copying tools you should try.